Watch Store Billing Software is the best POS software for billing, customers, loyalty, inventory and accounting with ease. Watches consider as one of the most fashionable accessories. There are a lot of people who fond of watches and shows interest to collect different ones. People always try to update with the trends, latest models and fascinate to buy. But there are some major problems watch stores are undergoing are retaining customers who are shifting gradually for online stores, unable to understand the customer preferences, trends, Forecasting demand etc. Just Billing watch store billing software will solve all the business operation issues and make you do your work with ease. As people always tend to buy more when there are special offers. Always let your customers know the special offers you providing by SMS or mail with Just Billing watch store billing software. Are you not understanding trends, what products getting sold more and less etc? Don’t worry our pos software give accurate reports and business analytics which help you to make understand and make decisions easily. Now take the payments in many ways. Cash, swiping card, gift vouchers, digital wallets, internet banking, UPI etc according to your customer preferences. Whenever a customer receives a defective product or a product got damaged soon, wants to return it or raise refund request. When we have complete details in a record about product and sale, it will become easy to cross verify and do needy things. How you help a customer will give an impression on business. Watches business trends are changing like never before. 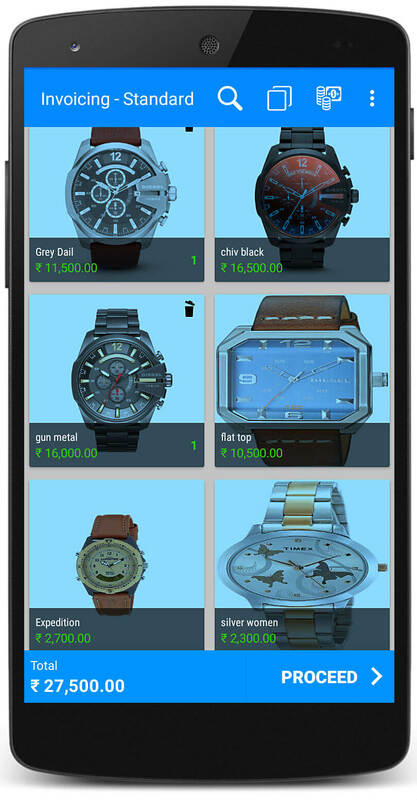 With regular watches now lot other different categories are entered like digital watches, smartwatches, fitness bands etc. Keeping track on all of them and observing changes will help to make the business strategy to improve the performance. Noting down all the product details, number of quantities, categorizing products properly will make your billing process and inventory management painless. It will be very easy also to check any particular and availability status. Record your customer details, know your customer, understand buying preference helps a lot to make marketing strategy. Reward him with special offers and discounts, loyalty programs which not only increases customer satisfaction but also a good word of mouth. Just billing is the GST compliance billing software which calculates the tax on the bill according to the rules and regulations prescribed by your respective country/state. It also calculates overall business tax and generates reports for tax return filing. When you are out of the station and wants to check your business operations? No worries, you can check each and every detail of business including sales, accounting etc in real time by just logging into cloud back office at anytime and anywhere. Download Watch Store Billing Software! Download and follow simple steps to setup Just Billing Watch Store Billing Software.